More music related jobs, funding deadlines and competitions for acts and music industry peeps to get ahead, including from the likes of, well, too many to mention! Event organisers of all sorts are invited to apply to book an event space at City of Perth’s Elizabeth Quay, Perth Cultural Centre and the new Yagan Square (opening early 2018). With over 17 spaces to choose from and capacities up to 15,000, this is your opportunity to be part of the city’s liveliness, excitement and accessibility for all Western Australians and visitors. Live music platform Six8 aims to bring live music into spaces where there previously was none, all the while allowing artists to be paid appropriately for their work. The service allows venues, and other live music hosts to browse the platform for artists based on genre, size, location and hourly rate. Already with an incredible 250+ artists involved, the platform is free to sign up for, with no subscription fees. Applications are now open to APRA AMCOS members to participate in Riverside Studios Berlin, an intensive writing camp in Germany on Friday 18 – Sunday 20 September. Successful applicants will collaborate with an exciting group of producers and songwriters. Applications close 5pm AEST 21 August. Tura New Music is calling out to creative participants to join Speak Percussion in the 13th Totally Huge New Music Festival to perform the WA premiere of A wave and waves by American composer Michael Pisaro, a massive 74-minute work for 100 performers on 100 instruments. Australia Council for the Arts invites Expressions of Interest to a new intake of the Arts Leaders and Future Leaders programs, including the Arts Leaders Program designed for established and mid-career leaders, and the Future Leaders Program emerging and high potential arts leaders. Applications for both programs close at midnight AEST on Tuesday 12 September. Second line-up of judges announced for the International Songwriting Competition (ISC). Established in 2002, ISC is the world’s largest songwriting competition, receiving entries from more than 130 countries. Consisting of some of the most iconic and respected artists in the world, the judging panel includes Lorde; Perry Farrell (Jane’s Addiction, Lollapalooza); Tom Waits; Hardwell; Nicky Jam; Martie Maguire (Dixie Chicks); Bastille; Ziggy Marley; and More. Australian Children’s Music Foundation invites school age students to enter their National Songwriting Competition, designed to ensourage creativity and self-expression through songwriting. Students aged 5 – 18 years can enter an original song for a chance to win a share of over $20,000 in prizes. Entries close midnight 20 October. A udition applications for 2018 West Australian Youth Jazz Orchestra (WAYJO) big bands are now open, closing midnight Friday 10 November. WAYJO is open to musicians 14-25 years of age (up to 28 in full-time study) and performs a range of jazz styles from trad, classic through to modern, offering members the opportunity to perform at some of Perth’s best venues, and travel regionally, nationally and internationally with top band leaders and touring guest artists. 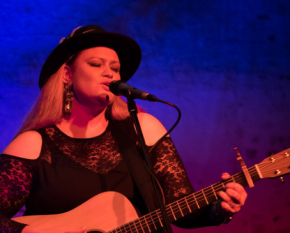 Top Ten Night is bringing Listen Up Songwriters’ Festival, aiming to uncover the greatest new songwriting talent, in Australia and Great Britain. The premise is simple: submit a song on a set theme, by 11:59pm Friday 18 August, to be in with a chance of winning a share of over $5,000 worth of prizes. Join City of Perth‘s campaign to showcase all the amazing things happening in the City across retail, food & beverage and family activities (including music related ones!) across September and October so as to positively change the public perceptions about the City on a Sunday. Register your business to ensure your Sunday offers and events are added to the website. The UK Music Video Awards are now accepting entries for the 2017 Awards. Artists, managers, labels and other creatives are encouraged to visit their website and check their eligibility to enter with previous Australian winners and nominees including WA’s Tame Impala winning Best International Rock/Indie Video in 2016 for The Less I Know The Better, after narrowly missing out on the same category in 2015 for Let It Happen. Entries close August 2. All musicians are invited to join a Songwriting Workshop from musicians from the Peel region. 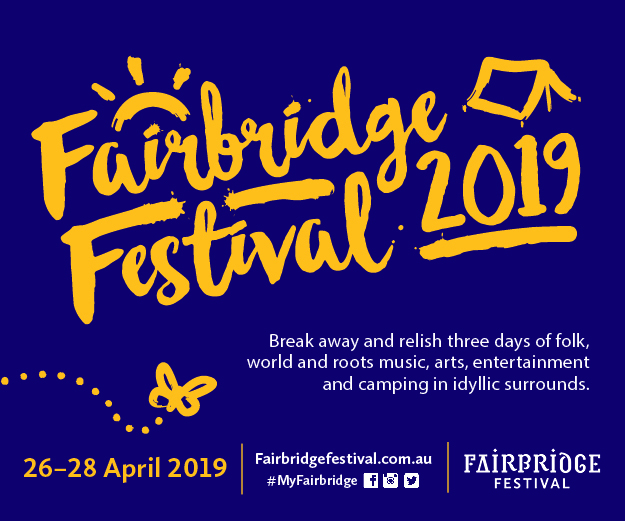 BYO instrument, pen, paper & it will be held at Fairbridge Village on the weekend of Saturday 12 – Sunday 13 August 17. Individual bedroom (shared bathroom), dinner Saturday, breakfast and lunch Sunday included in the cost. All this for the packaged price of $100 per participant, but a 20% discount for WAM Members. 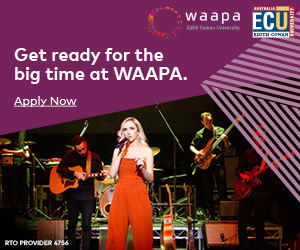 WAAPA is hosting a short course for you taught by industry experts to develop performance techniques in contemporary vocal styles including pop, jazz, rock and R&B. Vocalists will be given the opportunity to perform and video their performances and receive direction from WAAPA Lecturer Sue Kingham. Minimum age of 14 yrs with Course 2 commencing 5, 12, 19, 26 July 2017 & Course 3 starting 6, 13, 20, 27 September 2017, 4, 11 October 2017 at 6.30pm – 8.30pm. Fo rte School of Music Applecross & Canning Vale are looking for women and men to join their team of dedicated teachers. You’ll be supported by our Administration Team who help to take parents and students through the enrolment process, organises timetables and student retention activities so you just have to concentrate on teaching. Anzuk is an education services company with an aim to facilitate exceptional experiences for the learners of today; they do this by placing the best educators in the right learning environment. They support schools across Perth and currently have opportunities to undertake casual relief teaching within our client schools. Anzuk are looking for passionate, Primary qualified Music Teachers, who want to make an impact on students and further their learning. Now accepting Expressions of Interest for the Peel Estate Winery Summer Series 2017-2018 season. Generally each show has 3-4 acts and draws over 200 attendees. It is a family-friendly event, so material must be appropriate. Generally prefer artists that can do a mix of originals & some covers. Must be able to do at least a 45min set. Local draw is an advantage, but not a requirement. Please send expressions of interest to [email protected] and include links to website, social media, recordings and a short bio including performance experience. Behind The Wall is taking entries from bands who want to take big leaps in the music business. The winning band will go from amateur to professional in under two weeks and then be mentored through their best year ever. The winners will be taught all aspects of the music business and live performance by current industry professionals during a ten day residential retreat. Entries close on September 1st and winners will be announced on September 8. RTRFM are hosting their annual charity football game, the Reclink Community Cup, on September 3 and are looking for players! It’s RTR and community media vs musicians, and you don’t have to be a great footy player to have a whole lot of fun. If kicking the ball isn’t your thing, they’re looking for volunteers to help out on the day, or of course be a super cheer squad. Flick them an email ASAP if you’re keen. All funds raised from the game also go to Reclink. Mundaring Arts Centre has recently expanded its services and taken up management of the Midland Junction Arts Centre. Located in beautiful surrounds in front of Juniper Gardens in the heart of Midland, the newly refurbished space features two generous gallery spaces, an intimate 135 seat auditorium, a leafy courtyard, rehearsal and printing spaces as well opportunities for artists to work in residence. If you are an arts based organisation wanting a space to hold an exhibition, workshop or performance, consider the Midland Junction Arts Centre. In light of the changes to the membership constitution, and the desire to grow our membership, the Board of Country Arts WA has made membership free. Any member that paid prior to this date will retain the member benefits that were offered at that time for one year. Bryte MC‘s services have been built to give young people the opportunity to design and create the popular music they have come to know and love, and he’s now available for Hip Hop Workshops for schools and communities. Bryte’s activities open doors to greater opportunities in the music industry, supplying participants with the first level knowledge needed to embark on a career in music production, song writing and live performance. Audiofly officially re-launch their Mates On Stage program with a range of support packages to help those in the music industry. Their packages include complimentary cutting-edge in-ear monitors, bonus discounts and additional marketing support, which have helped the likes of Katy Steele, Slumberjack, Sydnee Cartee and many more. Could you be the next? The Hen House Live is currently looking for bands of all genres to play or launch their next release at their venue from July onwards. If you haven’t been down yet The Hen House Live is a 100 capacity room attached to Badlands Bar located at 1/3 Aberdeen Street, East Perth perfect for putting on a memorable show! If you would like more information please email Sarah at [email protected]. Unsigned Only is designed for solo artists, bands, and singers all over the world who are looking for exposure, recognition, and a chance to be noticed by industry professionals. The Grand Prize Winner will be awarded $20,000 in cash and one-on-one mentoring by an elite group of record company executives. All prizes are listed on the Prize page. Tura’s iMprov program aims to assist in the development of new and emerging improvisational artists. Once a month on a Monday, the iMprov series presents experimental and exploratory improvisation at bar Four5Nine at the Rosemount Hotel. The program also provides a monthly workshop for improvisers to work alongside local, national and international mentors who specialize in the field of improvised music performance. Contact [email protected] if you are are interested in participating. The new DCA Grants Program has been changed, now allowing for individuals, groups and arts organisations to apply for different types of funding in five categories including Creative Development, Commercial Development, Community Engagement, Aboriginal Arts, and Scholarship and Fellowships. DCA encourages all applicants to ensure their applications are in alignment with all criteria and to read all applicant resources. Music Industry Inside Out is an online educational resource devoted to helping musicians across the country learn more about the industry. WAM Members receive a 20% discount on all individual monthly or annual memberships. 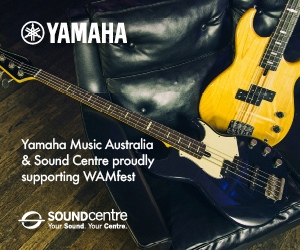 To redeem this benefit email Kate at WAM: [email protected] to receive the discount voucher code, then head to the individual memberships page and add the discount voucher for the 20% discount. Leading Perth headphones and audio business Audiofly are offering 20% off their entire Audiofly range to WAM members. For the members to receive this discount, they just need to email [email protected] with their WAM members number or you can call the store directly on 08 6555 1800 with your membership number to arrange a listening session and purchase in-store. The Western Australian New Music Archive is an interactive web portal presenting a collection of content related to the history of new music in Western Australia. You will find a range of material here including audio and video recordings, images, and a range of documents. The original collection has been drawn from the Tura and ABC Classic FM archives, but it is hoped that the collection will be added to through the participation of those involved in the new music scene in Western Australia. They’re also looking for WA releases to be added. Building Better Regions Fund supports the Australian Government’s commitment to create jobs, drive economic growth and build stronger regional communities into the future. The program will run over four years from 2016-17 to 2019-20. INFRASTRUCTURE PROJECTS STREAM- The minimum grant amount is $20,000 and the maximum grant amount is $10 million. You must complete your project by 31 December 2019. COMMUNITY INVESTMENTS STREAM – The minimum grant amount is $5,000 and the maximum grant amount is $10 million, however given the nature of eligible projects we expect most grants will be under $100,000. You must complete your project within 12 months of executing the grant agreement with the Commonwealth and by 31 December 2019. The Arts Development Scheme closing dates for 2017. The aim of the scheme is to bring professional performing arts companies and artists into the City of Joondalup. 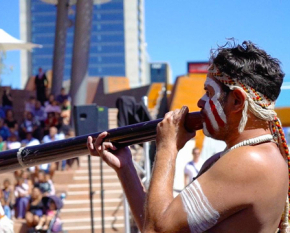 Funding is available to professional performing arts organizations in Western Australia to develop an audience base in the northern metropolitan area of Perth. They are looking for exciting interdisciplinary projects to bring into Joondalup! The Pack Australia is a web-based streaming platform that will enable any business playing recorded music to stream curated, all original, all local music tailored to their individual spaces and business types. Follow the steps in the link to support a new player in the web streaming industry and possibly have your sound heard. There is also an opportunity to become an official ‘Pack’ Ambassador, with cross promo as part of the deal. Music company The Sync Report has hit the DIY market with a series of colourful videos that highlight the importance of sync licensing in the music industry. ‘The Slapman Series’ the animated short films introduce Slapper and his mohawked dog Mr Rex who promptly slap people who tell them that they are too lazy to build a fan base, get media attention and earn an income with their music. Designed for music managers and savvy artists, check it out.